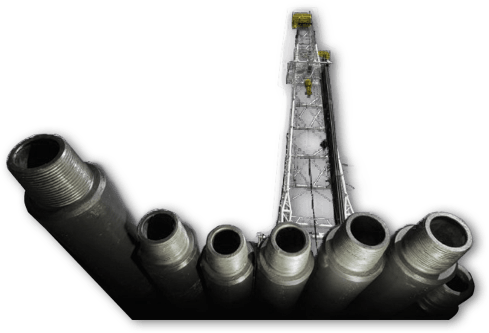 TSC Drill Pipe offers Proprietary Drill Pipe Grades to meet demanding drilling environments. Manufactured to requirements of Fearnley Procter Group NS™-1. Designed for drilling applications that specify high impact toughness. The product is manufactured independent of Fearnley Procter Group certification. 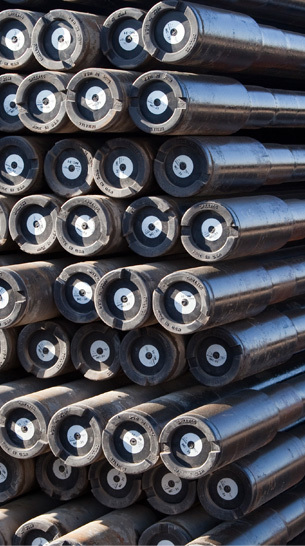 The drill pipe body is produced from a proprietary grade material with enriched alloying elements to ensure each tube meets NS™-1 specified Charpy impact value of 59 ft-lb (80 J) minimum average at -4°F (-20°C), 3/4 size specimen. The weld zone meets NS™-1 specified Charpy impact value of 31 ft-lb (42 J) minimum average at -4°F (-20°C). Produced with our standard grade tool joint that exceeds NS™-1 requirement. Developed for markets that utilize standard API:5DP grade drill pipe, with a desire to restrict the maximum strength level and hardness of the drill pipe body. The drill pipe body is heat treated in a controlled process designed to restrict the maximum yield strength to 110,000 psi (758 MPa) for TSC-95CY™, and 120,000 psi (827 MPa) for TSC-105CY™. Manufactured from the same high quality proprietary drill pipe and tool joint materials as our standard API:5DP drill pipe, and meets all applicable API:5DP requirements for grades X-95 and G-105 respectively. NACE SSC testing for sour service applications is not performed on this product. A proprietary product developed for sour service applications that has a NACE tested tube and a reduced yield strength tool joint. The drill pipe body is produced from a proprietary grade material and each heat of material is SSC tested to 70% SMYS in accord with NACE TM-01-77, Method A, Test Solution A. The drill pipe body is heat treated in a controlled process designed to restrict the maximum hardness to 30 HRC, and to achieve a minimum average Charpy impact value of 40 ft-lb (54 J) at ambient temperature. The product uses our standard tool joint material, with a special heat treatment to achieve 105,000 psi (724 MPa) minimum yield strength, 30 HRC maximum hardness, and a minimum average Charpy impact value of 40 ft-lb (54 J) at ambient temperature. The tool joint material is not NACE SSC tested. The Tool joint yield strength is less than the API:5DP requirement of 120,000 psi (827 MPa). A proprietary product manufactured to the requirements of IRP Volume 1-2008, Critical Sour Drilling. The drill pipe body and the tool joints are manufactured from a unique and proprietary chemistry and are NACE SSC tested per IRP specification. The tool joint minimum yield strength is 110,000 psi (758 MPa) per IRP specification, which is less than the API:5DP requirement of 120,000 psi (827 MPa).  Speak with the TSC Drill Pipe Team Today!